Ronald Krome, A Health Hero in emergency medicine, nominated by his brother, Dr. Sidney Krome. By all accounts, Dr. Ronald Krome (1936-2013) was “one of the most important and influential leaders in the formation of emergency medicine as a United States specialty.” He was an emergency room physician who walked the walk, as well as a gifted teacher of countless physicians in state of the art emergency medicine. His leadership had an enormous impact on the field. 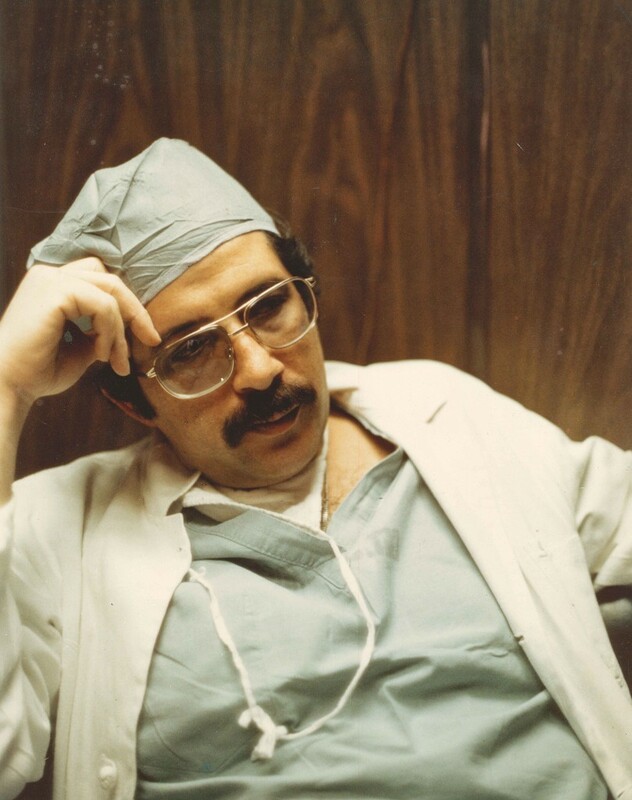 He was president of the American College of Emergency Physicians in 1976-77, president of the University Association of Emergency Medicine in 1978, and president of the American Board of Emergency Medicine in 1984-85. He was also the first and long-time editor of Annals of Emergency Medicine, journal for the field. According to a report of the Committee on the Future of Emergency Care in the United States Health System “the emergence of the modern emergency department is a surprisingly recent development. Prior to the 1960s, emergency rooms were often poorly equipped, understaffed, unsupervised, and largely ignored. In many hospitals, the emergency room was a single room staffed by nurses and physicians with little or no training in the treatment of injuries.” Today, it is “a highly effective setting for urgent and lifesaving care, as well as a core provider of ambulatory care in many communities. An extraordinary range of capabilities converge in the ED—highly trained emergency providers, the latest imaging and therapeutic technologies, and on-call specialists in almost every field—all available 24 hours a day, 7 days a week.” All this has come about in part through the efforts of Dr. Krome. 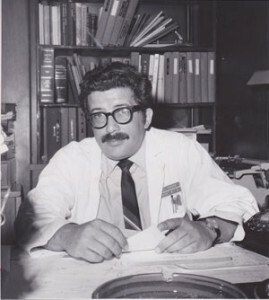 Dr. Ronald Krome, Detroit General Hospital, c. 1975. Courtesy of Dr. Sidney Krome. Ronald Krome was born in Baltimore in 1936, and grew up lower Park Heights, across the street from the Talmudical Academy, at Cottage and Springhill Avenues. He attended Isaac Davidson Hebrew School, and the family attended B’nai Reuben (now Winands Road Synagogue Center). He graduated from Baltimore City College in 1953, University of Maryland in 1957, and received his MD from University of Maryland School of Medicine in 1961. In 1961 Dr. Krome and his wife Eva moved to Detroit, where he began a residency in general surgery. Not long after, Eva was killed in a car accident, and emergency medicine became a personal and professional passion. In 1969, Dr. Krome became director of the emergency room at Detroit General Hospital, no small job: DGH saw more than 100,000 emergency cases each year. Krome set to work developing a staff that practiced exclusively in the emergency department, and by the early 1970s, this specialty had become a formal part of DGH’s administrative structure. In 1972 Dr. Krome started editing the journal that would become Annals, and other hospitals began to notice what was going on. For example, the first residency in emergency medicine began at the University of Cincinnati in 1973. DGH instituted an emergency medicine residency in 1976, also under Krome’s watch. Ronald Krome’s influence on his field and on so many patients in American hospitals could hardly have been broader. Wikipedia tells us that “nearly half the physicians currently practicing in Michigan have received some of their training at Detroit Receiving Hospital.”(Note: Detroit Receiving Hospital changed its name to Detroit General early in Krome’s tenure there.) In a eulogy at Krome’s funeral, one of his colleagues estimated that tens of thousands of ER patients from all around the country are alive as a direct result of the changes Ron and his colleagues made to the policies and practices of ER’s and Emergency Medicine as a whole. Post by JMM Curator Karen Falk. Return to Hometown Health Heroes Masterpost.